The west of Ireland has for generations been considered one of the most beautiful parts of Ireland and it seems that the beauty of the Connemara scenery is matched by the demeanor of its inhabitants. Galway has been voted the most friendly city in the world in what is sure to be a great boon to the Irish tourist industry. The city is a tourist hub with countless festivals within the town itself that serves as a great base for exploring Connemara, Oughterard, John-Wayne country, Clifden and beyond. Amazingly, the good news did not stop there. Dublin managed third place while Cork was fourth. 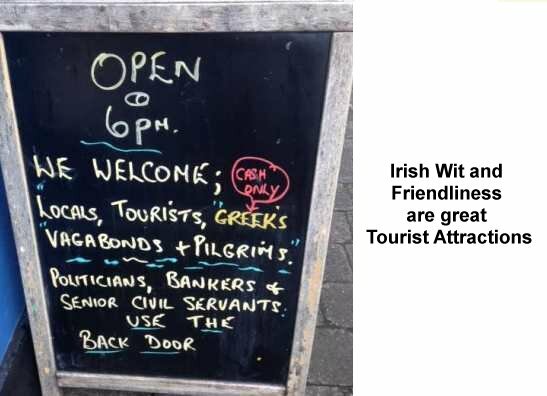 Obviously the people running the Irish tourist industry have done a great job in promoting what is probably Ireland’s most important indigenous industry. Dublin was recently voted in second place by another US travel site, Conde Nast Traveler, so clearly this is no fluke!